As we all know, the holidays can be an emotional time of year. For many it is a season of family gatherings, filled with laughter and good cheer. For others it can be stressful and even depressing, depending upon the situation. One thing is for certain. When you have a loved one with Alzheimer’s disease, the dynamics of your holiday family get-togethers will change. If your loved one is in the earlier stages of Alzheimer’s, he or she may just be a bit more withdrawn and less sociable than in past years. As the disease progresses, however, the behavior will become more pronounced. This can be unsettling for your loved one and those around them. Schedule your gathering earlier in the day if possible. As you may know, the period of time between daylight and evening can create confusion for individuals with dementia, a condition called “sundowning”. Gatherings that occur earlier in the day will be less stressful for your loved one and be more enjoyable for all. Adjust gift giving. 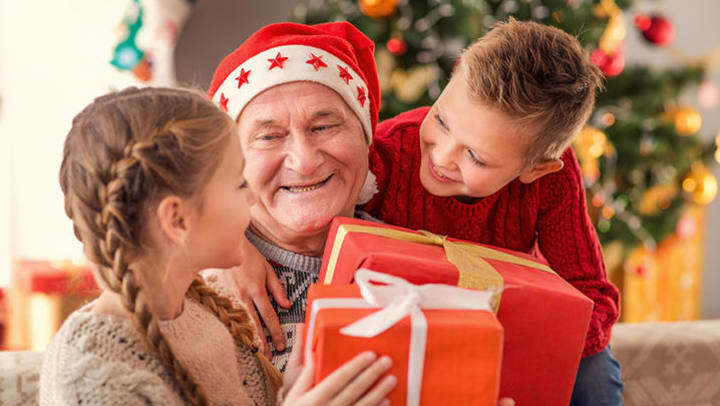 If gift giving is traditionally part of your gathering, provide a list of possible gifts for your loved one with Alzheimer’s. It will make it easier on everyone and you will avoid gifts that may be inappropriate or even dangerous for your loved one. Prepare your guests in advance. This can be accomplished in an informal “meeting” if family members live relatively close together. You can also arrange a phone call, video chat or even send an email, if getting together is not feasible. The main thing is to set the expectations in advance as clearly as possible. I’m writing to let you know how things are going at our house. We’re looking forward to your visit, and we thought it might be helpful for you to understand our current situation before you arrive. You may notice that [name] has changed since you last say him/her. Among the changes you may notice are [list the key ones]. I’ve attached a photo so you know how he/she looks now. Because [name] sometimes has problems remembering and thinking clearly, his/her behavior may be a little unpredictable. Please understand that [name] may not remember who you are and may confuse you with someone else. Please don’t feel offended by this. He/she appreciates your being with us and so do we. Please treat [name] as you would any person. A warm smile and gentle touch on the shoulder or hand will be appreciated more than you know. We would ask that you call when you’re nearby, so we can prepare for your arrival. With your help and support, we can create a holiday memory that we’ll all treasure. Of course, this is just a template to get your started. You will want to amend it to fit your situation and reflect your own communication style. Will this holiday gathering be different from past ones? Yes, of course it will. Your situation has changed after all, and it’s important for everyone to understand and accept that. However, with some advance preparation and adjustments, your holiday gatherings can still be an enjoyable and relaxing time for everyone.